Getting a divorce does not have to mean going through lengthy legal battles in which you and your spouse bicker or fight over every asset and piece of property you possess. While these situations cannot be avoided in some cases, there are scenarios where both parties are able to put aside their differences to create a marital settlement agreement. This avoids the need for a court order, while saving both of you money and time in divorce court. In any divorce case, you will need to settle issues concerning child time sharing, support, and how marital property and assets you accumulated during your marriage will be divided between the parties. 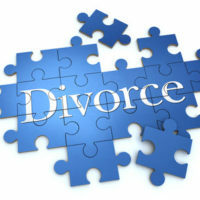 Guidelines for these proceedings are outlined under Florida Dissolution of Marriage Statutes. In general, the court aims to have both parents remain active in their child’s life, while distributing property fairly, though not necessarily evenly. Unfortunately, bitter disputes can arise over these matters, which require lengthy negotiations between the parties and their attorneys. When these disputes cannot be resolved, the judge will decide will decide these matters and issue an order in the case. Unfortunately, this can be a lengthy process, delaying your ability to finalize your divorce and move on with your life for a period of months or even years. Payments of child support and provisions for providing health care benefits for the child. A tendency to see the ‘big picture’ rather than being consumed by petty disputes or power plays. To determine if an MSA might be a possibility in your case, call or contact attorney Vanessa L. Prieto online and request a consultation. Our experienced Fort Lauderdale divorce attorney can provide the legal guidance you need, while ensuring your legal rights and best interests are protected.